How to Jailbreak iPhone 7 (Plus) Running on iOS 10, iOS 10.1, iOS 10.1.1, 10.2, etc. If you are an iPhone user from past few years than you know then Jailbreak iPhone means unlocking iPhone. There are many benefits that you have enjoyed till now such as free apps and more functionality. Today I am going to share how you can jailbreak your very own iPhone 7 or iPhone 7 Plus running on iOS 10 to iOS 10.2. There are few things which you should do before actually jail breaking your iPhone 7 or jail breaking iPhone 7 plus. Start with the preparation of Jailbreak iPhone 7. 1) Take data backup of iPhone 7: You do not want to lose your data, if something go wrong while you are jail breaking your iPhone 7.. I recommend you to backup all your data to iCloud, iTunes or your laptop or any other external device. 2) It is really necessary that you should Turn off "Find my iPhone", touch id and it`s passcode to successfully jailbreak iPhone 7. 3) Check if you have installed latest version of iTunes. 4) Now you need a compatible jailbreak tool for your iPhone 7 running on iOS10 to your Mac or Windows PC. You can easily check it by going to settings > general > About >Version. You can very easily jailbreak your iPhone 7 using Pangu on your Windows PC. let`s see how you can do it. Follow on Screen instructions to successfully Jailbreak iPhone 7. Occasionally unlock the iPhone 7, Swipe up and enable the Airplane mode. On Pangu you will see "Jailbreak Complete"
1) Uninstall Apple application support, Bonjour, Apple mobile device support, Apple software update and iTunes. 4) Run Pangu and this time it will work with giving "Runtime Error" and you will successfully complete iPhone 7 jailbrak processes by following this step by step guide. You have jailborken iPhone 7 running on iOS 10 successfully. Now turn on Touch id, passcode and Find My iPhone and you are ready to enjoy your Jailbroken iPhone 7 or iPhone 7 plus. If you still have any question regarding unlocking or jailbreak iPhone 7, feel free to ask via comments. Do share which iPhone you are using? Have you already jailbreak your iPhone? 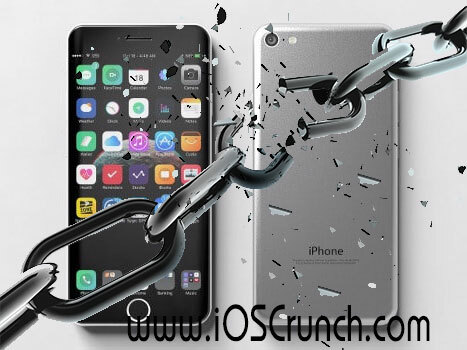 You want to jailbreak your iOS device like iPad, iPhone, iPod and iPad mini running on iOS 7 to iOS 7.0.4, then here is a good news for you. Evasi0n7 is available here to help you. 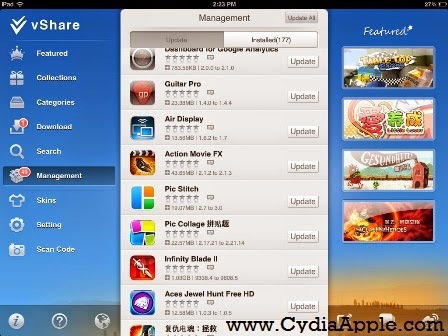 It is one of the popular and easiest way to jailbreak iOS devices. You can use it on mac or windows devices. 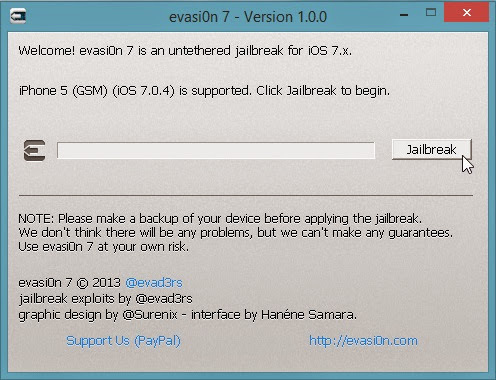 If your device running on iOS7 and you want to jailbreak it with an easy method, then you should surely go for Evasi0n7. Before you start Jailbreaking proecess, I recommend you to take the backup of your iOS device with iTunes and disable lock passcode. You can run this tool on windows xp or Windows 7 , Windows 8 MAC OS X 10.6 or above and install iTunes on your desktop. Click here to download iTunes. 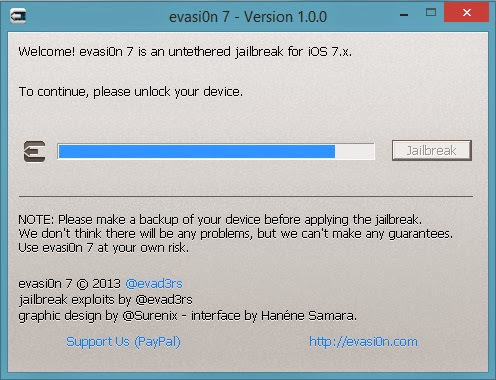 First of all download evasi0n7 for your Windows / Mac and extract it. Connect iOS device to the computer and disable the lock passcode. Wait for few moments to complete the process. It will reboot and show Evasion7, Click on it. Now your device will reboot. Now unlock your iOS device. So these are the few very simple steps to jailbreak any iOS device running on iOS 7 to iOS 7.0.4. Now you can download Cydia and use cydia sources for free on your iOS device. If you have any question, feel free to ask me. Don`t forget to like us on Facebook and subscribe our newsletter to get updates. iOS7 untethered jailbreak is available for those who want it. There are so many awesome Cydia tweaks are available already. it is the time to Jailbreak an iPhone5 or 5S running on iOS7 and install Cydia tweaks. Today we talk about how to jailbreak iPhone 5 running latest version of iOS7. 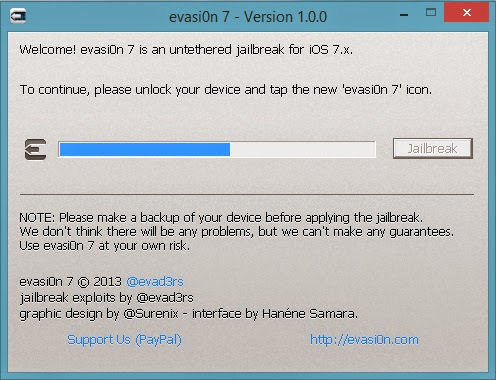 Download Evasi0n and start the process. You can download the latest version fro official Evasi0n website over here . Update your iPhone to latest firmware. Connect iPhone to computer, and take backup. Click on Backup then transfer purchases under iTunes to backup your purchase. After this quit iTunes then open Evasi0n tool. You need not to worry about anything. As Evasi0n jailbreak opens, it will detect the iPhone connected to your computer. Evasi0n tool will do the rest of the work. You just need to follow the instructions. Now iPhone 5 or 5S running on iOS 7.0.4 is jailbroken. Exit evasi0n and open iPhone and you will see Cydia icon there. Click on the Cydia icon and first time it take some time and reboot your iphone. There are so many times when you see messages and calls from unknown numbers. Either You ignore them or you have to call unknown numbers to know who is calling or sending messages. It is time-consuming many times these are tele-marketer calls. We always want to know who is calling us to save our time, energy and money. For android devices there is already an app calles, Truecaller, but it show number at the time when somebody is calling. WHozCalling is a Cydia tweak will reverse search any number and from the database it will show the caller number. This happens in real time. You don`t need Wi-fi for this to work. WHozCalling tweak is free via bigboss repo. Go to whozcalling app, and give it permission to access contacts. It will fetch recent calls and match with database to show name of the caller. It showed the name details of almost 90% contacts in my list, and rest I could always check using Truecaller app. If you are getting huge calls from unknown number then you should consider installing this small tweak. Nowadays, Smartphone work much more than just an ordinary phone.It work as source of entertainment, personal secretary, interactive friend and also a Camera. Cydia application called QuickShoot made this camera feature much better. It allows you to take a photograph, anytime anywhere , simply by tapping twice. This is like the Holy Grail for every photographer in the world. We all love to use one click to save awesome moments. QuickShoot is now enable iOS users to do just that; take photographers easily. Let`s see features of QuickShoot. 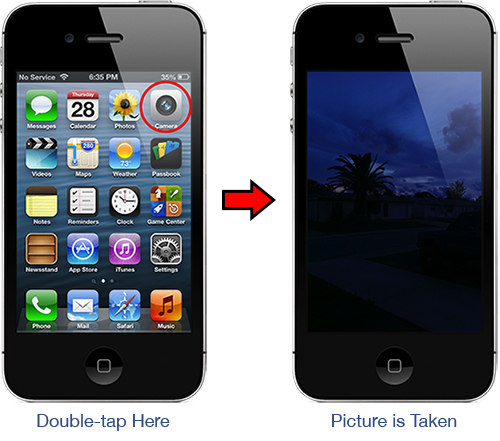 QuickShoot allows you to take a photos just by tapping on the app icon. It is compatible with iPod touch and iPhone. It requires iOS 6 in order to be installed and Jailbroken device. QuickShoot is the app for you to capture quick moments easily. This is a free app. But right now it takes basic shots and lacks a settings panel. Means you are not able to add exposure, focus or flash features. If you are one of those users like me who love taking photographs with iPhone, Quickshoot cydia tweak will be very useful for you. Simply search for QuickShoot in Cydia and download and install it. If you know more such similar tweaks, let me know via comment. If you are an iPhone5 user and you want an untethered jailbreak for iPhone5 then evasi0n is the jailbreaking tool that you need. This is one of the easiest Jailbreaking tooland supports all major version of iOS device. Today we talk about how to jailbreak iPhone5. evasi0n is available for all major OS platform. You can jailbreak all iPhone devices. Make sure passcode lock is off. Do not run any other program while using evasi0n. Select restore and update your iPhone. iPhone will be updated to latest firmware running iOS6.1. You can get it from direct link to download iOS 6.1 for iPhone5 GSM. So I believe now your iPhone 5 is running the latest version. Now you have downloaded evasi0n. Quit iTunes and open evasi0n on your computer. Connect your iPhone to your laptop and let evasi0n to detect your iPhone. Click on the Jailbreak, and evasi0n will start jailbreaking iPhone5 or any other version. Within few seconds it will reboot and install Cydia too. Now you have to unlock iPhone, and then click on Jailbreak. Evasion will finish the rest. Your system will reboot couple of times. Now unlock your iPhone and then click on Cydia. First time Cydia will take couple of seconds to open. Thats it, iPhone 5 is untethered jailbroken. Now go to Cydia sources, and add best Cydia source. This whole process of jailbreaking will hardy take 5 minutes. If you have any issue performing untethered jailbreak of iPhone5, do let me know. We have tried both apps that I have mentioned above, and none of them beat installous. They are good but the features installous used to offer, is still missing from Appcake and iFunbox. Today we will discuss about vShare, which is best app for jailbroken device. We will discuss how to download vShare and how to use vShare. Vshare is available on Cydia and could be downloaded by adding repocydia repo. You can refer this article on how to add a new cydia repo. Once repo is added then serach for Vshare and install it. Vshare is the alternate of Installous. It offers amazing UI, and also allow to update all cracked apps that you have downloaded and installed using Installous. 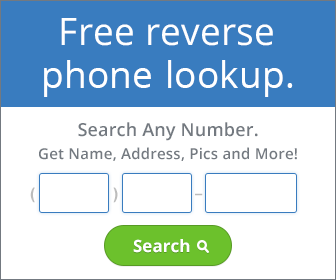 vShare is a best free alternate solution to installous. Once you have installed Vshare then open it and you will see welcome screen. You can click on any iOS app and install it. We hope this article will help you to find a solution. We are sure Vshare app will never disappoint anyone. If you still face any issue in installing Vshare or adding Vshare repo, feel free to let us know via comment. If you find this article useful, do share it on Twitter, Facebook and Google Plus. You can also join us on Facebook for more such updates. Departure of installous was a sad news for jailbroken iOS community, but here comes the alternatives. We have already talked about Appcake- an installous alternative. Today we will discuss about iFunbox. iFunbox is a desktop software for both windows and Mac. It allow you to download cracked iPas. You can see a list of websites to download cracked ipas here. iFunbox is a desktop based software. It is a file browser. You can copy files from iOS device to system using it. iFunbox offers many more features than just a software for jalbroken iOS devices. We can also use it as a desktop file manager for your iOS device. Here is how you can use iFunbox to install downloaded cracked apps. First you need to download iFunbox from official website here. Once iFunbox is installed, connect your jailbroken device to your computer, and iFunbox will detect connected iOs device. Click on install app icon, and browse the downloaded iPAS on your desktop, and iFunbox will do the rest for you. Use iFunbox to download all photos from iOS device, also manage photos on iOS device and even delete photos from iPhone and iPad using iFunbox. This will transfer images from iPhone to computer. iFunbox is an awesome software for non-jailbroken iOS devices also. Try it and let me know how it works for you. If you have any question feel free to let me know via comments. We have already talked about Cydia and Cydia repositories, which allow you to enjoy Cydia tweaks on you Jailbroken iPad and iPhone. Usually Cydia tweaks are not avilable on App Store. People who are new to Cydia or who do not know about Installous, Installous is the best app of Cydia that allow you to download all iOS apps for free. Here today we talk about How to Install Installous using Cydia. You can refer to earlier articles on how to add source to Cydia. To install Installous to a Jailbroken iPhone or iPad, we just need to add belw mentioned sources. You just need to, open Cydia and click on Manage then Sources then Edit and add this URL http://cydia.hackulo.us then click on Add. Cydia will add the repo on iPhone and source for Installous app is added. You just need to search for Installous and then install it. You can also browse Hackulo.us repository and install Installous. You can find some other third party repositories, which also let you install Installous. But I recommend to use this official repo here (Cydia.hackulo.us). Just click on Install and Installous app will be installed on iPhone. Now you can download any app and install. It is as easy as we say. You don’t need to pay for apps like Asphalt 7, N.O.V.A or any other app. Installous is one of the main reasons, we recommend users to jailbreak their iOS devices. Jailbreaking is not illegal. Latest version also supports Torrent, which will help you to download huge apps. If you see any issue installing installous or not able to find installous in Cydia then just remove cydia.hackulo.us repository and add it again and try again. Is you want to ask something, feel free to ask us via comments.